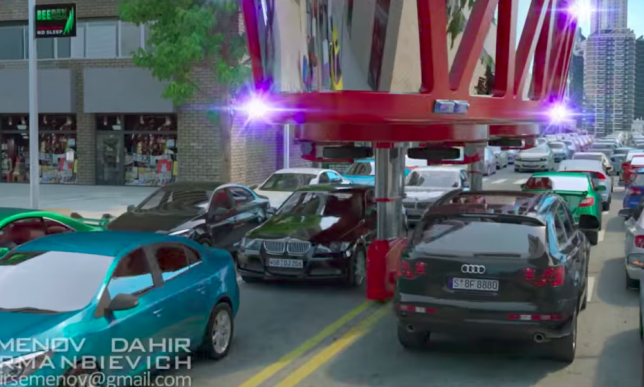 In this strange vision of a city in the not-so-distant future, disc-shaped public transit, emergency vehicles and cargo vehicles rise up above traffic on vertical supports to zoom through the streets unimpeded, lowering to the ground at designated stops. 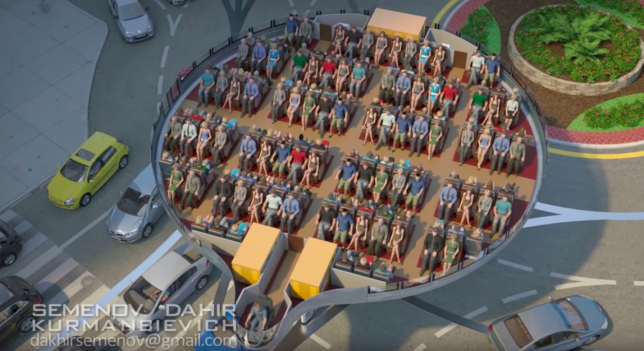 Created by designer Dahir Insaat, ‘Gyroscopic Transport’ looks like an alternate take on China’s traffic-straddling bus (which turned out to be a giant traffic-snarling scam, by the way.) Could this new proposal be any better? 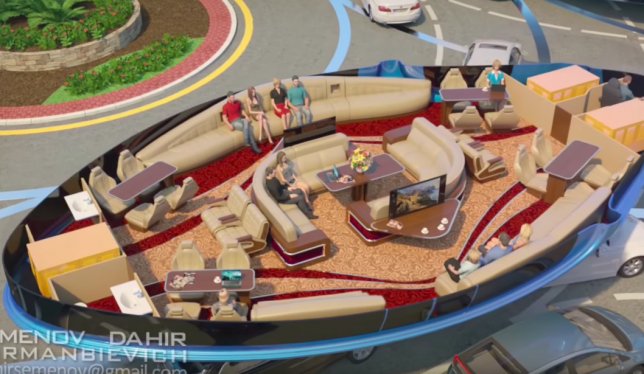 In a video announcing the concept, Insaat explains how the technology works and lays the groundwork for gyroscopic vehicles with the potential to be more successful than their predecessors. Taking inspiration from recent developments in the area of electric motor control, Insaat developed a gyro car that “meets all current safety requirements.” Noting that it’s financially and often physically impossible to significantly expand roads in existing cities, the designer suggests that we take to our “unused road medians” as a solution. 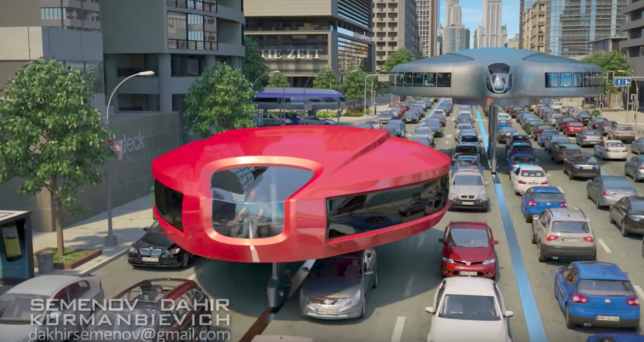 The Gyro car could fit into existing roadway infrastructure while remaining independent from the flow of regular motor vehicle traffic below. It can elevate high enough on its supports to safely pass over most vehicles, running along a special fortified strip between lanes. The car itself has a lightweight body and can either be designed with mass transit interiors to fit large groups of passengers, or as luxurious lounges. In the video, the designer also explains how the concept could extend to emergency responders like firefighters. Of course, the concept hasn’t avoided criticism and questions as to its feasibility. What happens when a vehicle hits its support pillars at high speed, for example? These kinds of technical details don’t seem fully fleshed out yet, but it’s an interesting idea, and watching the pods navigate traffic circles is kind of mesmerizing.